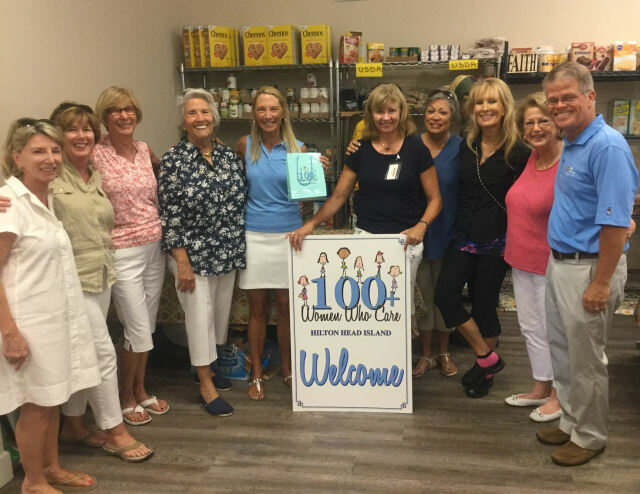 What a difference 100+ women can make in their community! Our chosen recipient this quarter was Sandalwood Community Food Pantry and our collective donation totaled $11,000. SCFP was established in 2009 when one woman, Rev. Dr. Nanette Pierson, wanted to address the hunger of people in the community. "Hunger hurts", she said, "and it takes a toll on their health and well-being." The SCFP focuses on basic daily needs while also providing emotional and spiritual support. The Pantry provides perishable and non-perishable groceries to eligible residents through its partnership with the Lowcountry Food Bank of South Carolina. The Pantry purchases food when donations from local sources are not enough to support the needs of their people. Our collective donation will be used to purchase much-needed food items and to buy clothing and toiletries for the homeless and hungry. A small amount of funds may be set aside to provide emergency assistance, such as electricity or medicine.